Passionate professionals dedicated to spreading the joy of finely crafted wine, beer, and spirits. is tucked conveniently in the warehouse district of downtown Minneapolis. We take pride in stocking our shelves with a wide selection of wine, beers, and spirits; from tried-and-true classics to "cult-followed" and hard-to-find beverages. Our team is made up of knowledgeable professionals with years of experience in the service and beverage industries who constantly strive to be on top of their craft. Next time you're in our neighborhood, swing on by and let us find the beverage that's right for you! While maintaining a rugged charm from its industrial past, the North Loop Neighborhood has transitioned into a vibrant community in downtown Minneapolis with a culture all its own. Today, the original warehouses and factories that fostered the neighborhood have been transformed into truly unique housing properties, exciting entertainment venues, contemporary fine dining establishments, and specialty boutiques and shops. Home to a burgeoning arts and music scene, the North Loop is one of the fastest growing communities in Minneapolis and has been named a "Favorite Neighborhood" by Fast Company. With easy access from Interstate 394/94 and downtown Minneapolis, we invite you to come see why the North Loop is the Twin Cities neighborhood in which to live, work, eat, shop, and play! 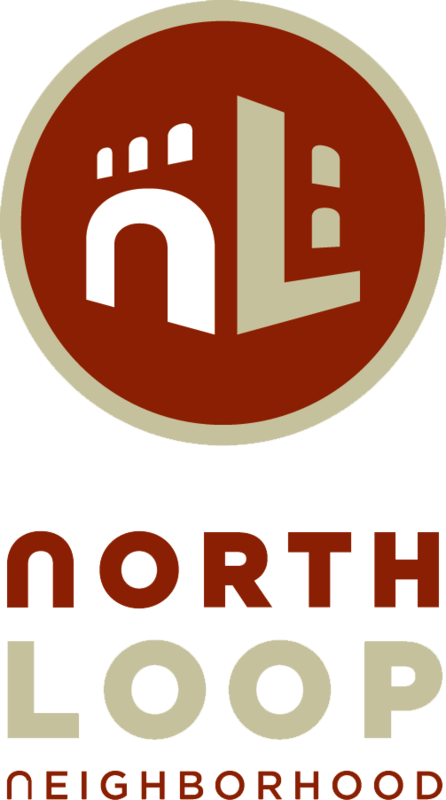 North Loop Wine & Spirits is proud to call the North Loop home and to share this neighborhood with landmark restaurants such as Spoon and Stable, J.D. Hoyts, The Bachelor Farmer, Monte Carlo, Red Rabbit, The Freehouse and dozens of other fantastic businesses. We invite you to explore all the activities this "new" old neighborhood has to offer. Out for a walk around the North Loop with your four-legged friend and a little thirsty? Come on in! North Loop Wine & Spirits is a pet-friendly establishment and we encourage pet-owners to bring their pooches with when stopping in. Note: Dogs may be subject to a sound petting before being permitted to leave. You're always coming to our place; let us come to you for a change! We offer free delivery on any purchase of $25.00 or more within 5 miles of our store. Visit our Delivery page to learn more about our wine, beer, and spirit delivery service in the Twin Cities. With thousands of wines in stock, North Loop Wine & Spirits is the first place to check when searching for your favorites or a new experience. Browse dozens of racks filled with some of the best wines from around the world. Our expert team is always eager to help you find what you're looking for or discover something new. Whether you prefer Cabernet, Bordeaux or Malbec, we have something you'll like and we're more than happy to pair a wine with your evening's menu. We offer varietals from around the world, as well as some of the best wines from the emerging wineries of Portugal, Eastern Europe, South America and Australia and harder to find wines such as Turley, PlumpJack, Joseph Phelps Insignia, Paul Hobbs, Darioush just to name a few. With new wines arriving daily, we are committed to providing the absolute best selection for our customers! Looking for a special wine? Please call us or stop by to see if we have it in stock. If we do not have it in, we will find it and gladly order it for you!